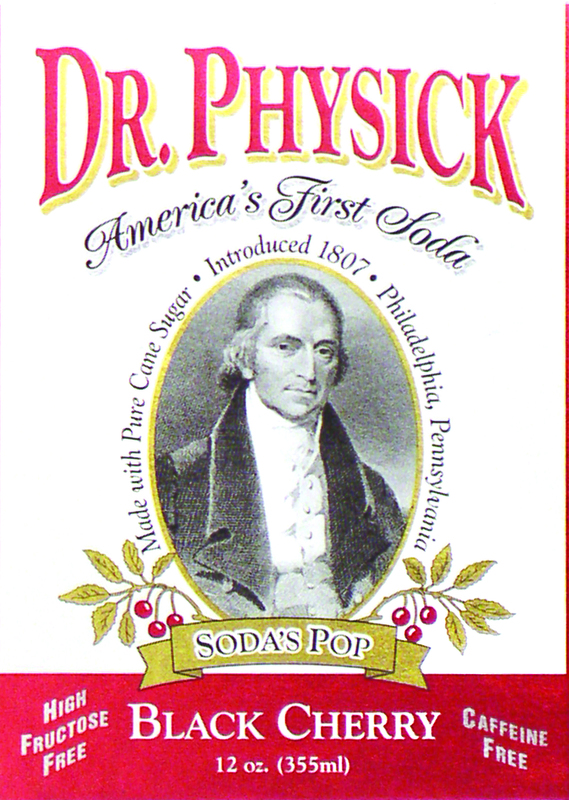 Among his many "Firsts," in 1807 Dr. Philip Syng Physick, "Father of American Surgery," introduced artificial carbonated water for the relief of gastric disorders to America. Following Dr. Physick's instructions, pharmacist Townsend Speakman supplied his patients with a glass of soda each day at a cost of $1.50 per month. 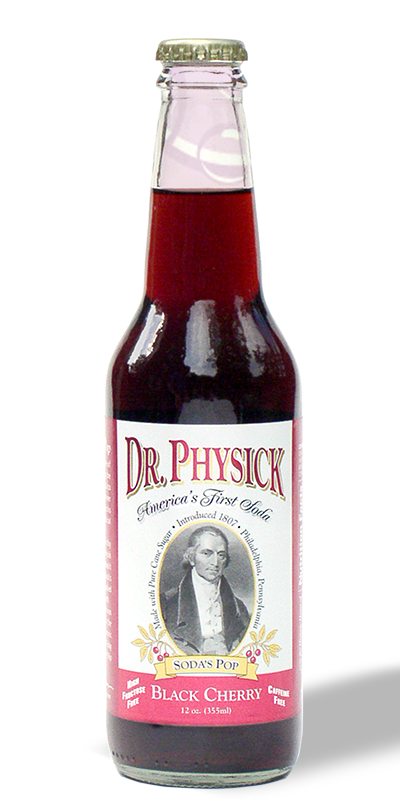 Following the doctor's instructions, fruit syrup was added to improve taste and thus the American soda was born in Philadelphia. 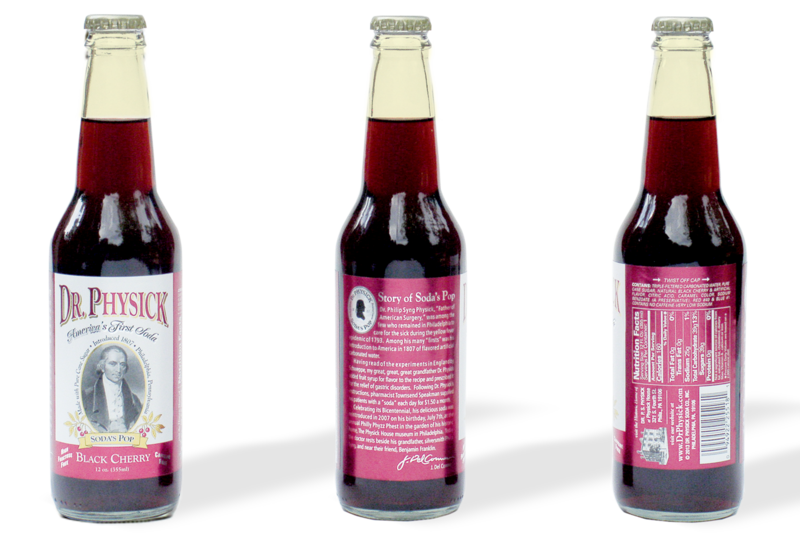 To mark its Bicentennial, J. Del Conner, the doctor's great-great-great grandson reintroduced Dr. Physick Soda Pop to the market. Made the old fashioned way, with pure sugar cane, Dr. Phil's Black Cherry Soda is a delicious treat. Try some and you'll sing "FILL-ER-Up Dr. Physick!"